B.Physio. MCSP Cert. Pilates Instructor MIAPI Co-founder of the Australian Physiotherapy & Pilates Institute© Glenn Withers graduated from Latrobe University School of Physiotherapy and leapt into the sports physiotherapy world. Glenn worked alongside Australia’s leading sports Physiotherapists within an elite development program at Prahan/Malvern Sports Medicine Centre. During this time Glenn discovered the need for further techniques to improve lumbo-pelvic stability. Glenn soon discovered the key link between muscle imbalance and Pilates and was awarded the Felice Rosemary Lloyd post graduate scholarship for international study into Pilates. Glenn spent the year training in Pilates in London at the Michael King Pilates Institute. Together with Elisa, Glenn modified traditional Pilates to reflect current research findings and their implications for training lumbo-pelvic stability. The interest in Modified Pilates from within the Physiotherapy world lead to Glenn teaching Pilates through out Europe. 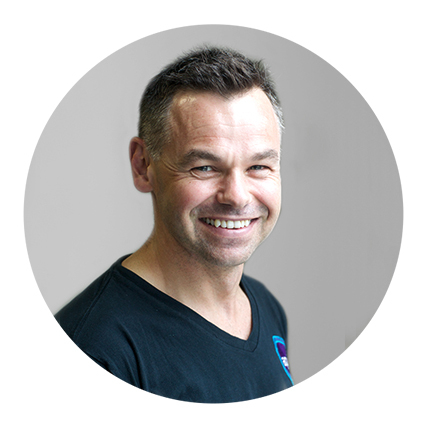 Since co-founding the Australian Physiotherapy & Pilates Institute© he has lectured at various premier league football clubs, rugby clubs and Physiotherapy conferences.